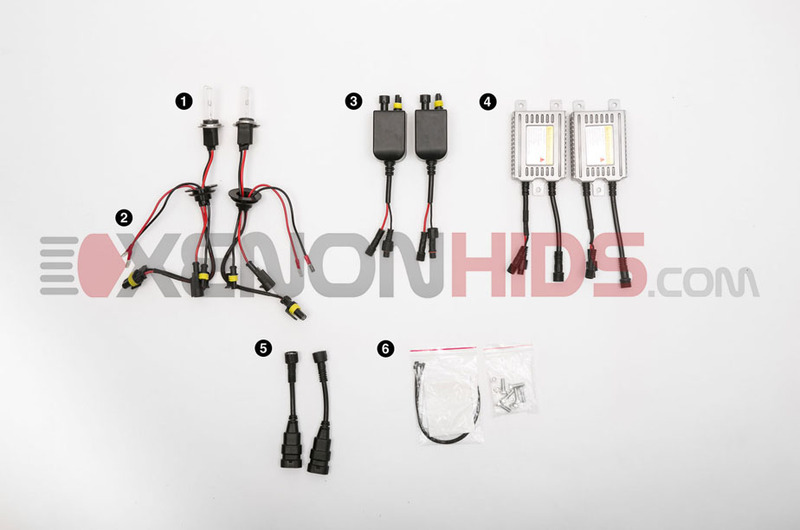 Below are the components included in your H7 Single Beam HID Conversion Kit. 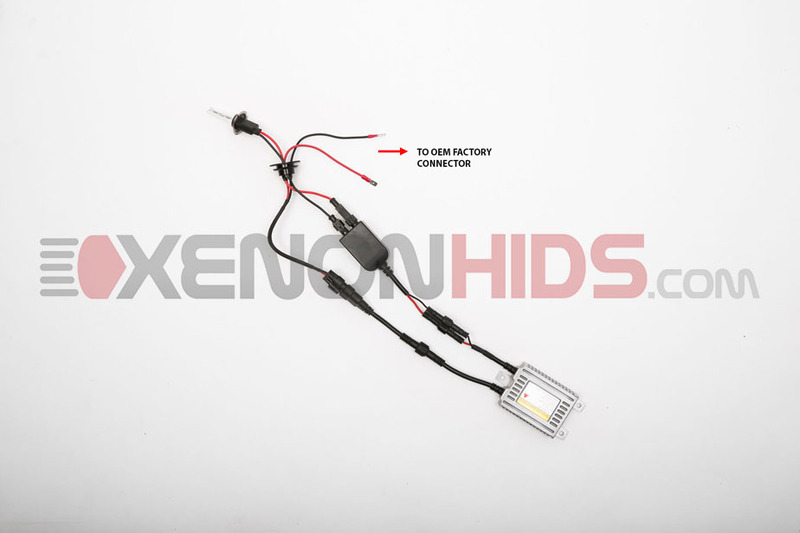 Two (2) x Factory Harness Adapters. 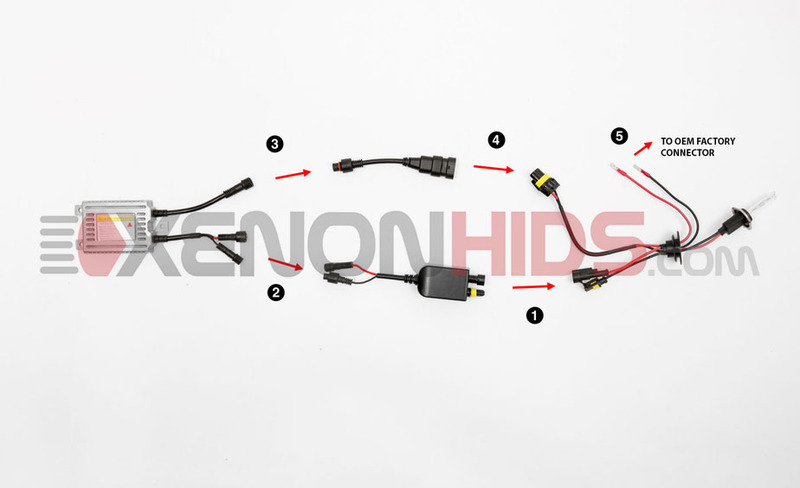 Insert the pins from the Factory Harness Adapter into your vehicle's OEM strock connector.